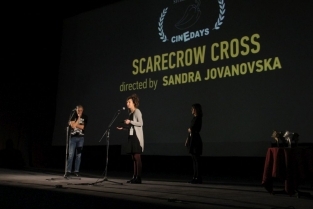 Sandra Jovanovska, študentka drugega letnika magistrskega programa 2. stopnje Medijske umetnosti in prakse na Akademiji umetnosti Univerze v Novi Gorici je z eksperimentalnim filmom Scarecrow Cross osvojila prvo nagrado na Cinedays 2016 v Skopju v sekciji študentskih filmov. 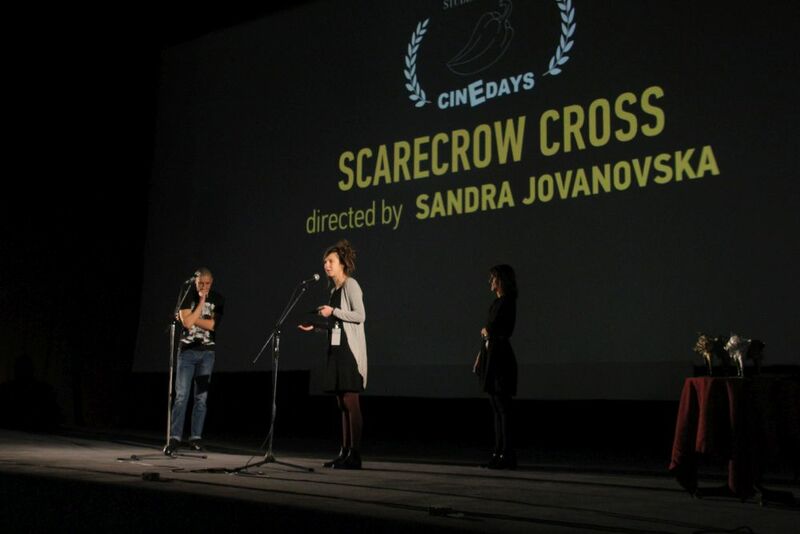 Na festivalu je bil predvajan bogat program naših študentskih filmov.// Sandra Jovanovska, our 2nd year MA student, has won the student film award @ Cinedays 2016 in Skopje with her experimental film Scarecrow Cross. 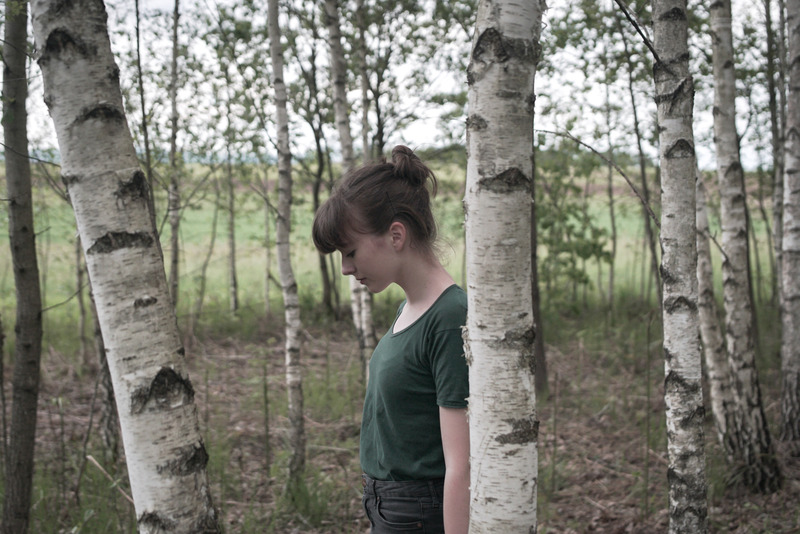 We presented a rich programme of our student films at the festival. Synopsis: Jelena and Jastog before the war find refuge in the mountains, where they brace themselves for a fatal meeting with a scary phantom from Jelena’s childhood and play badminton. But you are never really alone in the mountains and they quickly get company. Life is just sick. Synopsis: The story follows scarecrow positioned very near to a small church. Exposed to elements, the scarecrow is slowly stripped of its clothes and turns into cross. 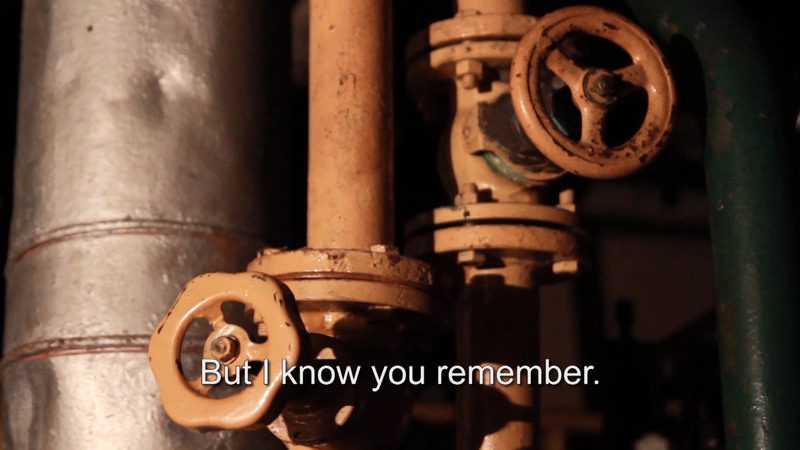 Synopsis: Distant Memory is a video poetry, which speaks about the times that once were. It all starts with a random event which evokes narrator’s memories about the times before the disintegration of Yugoslavia and encourages reflection about what the war actually brings and how quickly people forget everything. The poem can be interpreted as a letter or a personal confession of an unknown man (it can be a sailor) written for the mighty Tito’s ship Galeb. 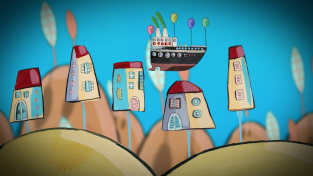 The ship has a symbolic value in the poem and through the variety of short scenes showing different details we can observe different interpretations and connections between real life and the imaginary world of poetry. 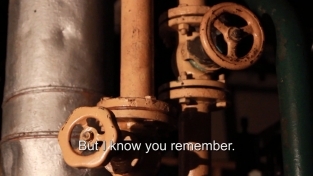 Synopsis: A short documentary about Šiška – one of the neighborhoods of Slovene capital of Ljubljana. Šiška might seem like just another rather sad neighborhood – a mix of old, abandoned farmhouses and newer apartment buildings scattered on the sides of arterial road. But only at a first glance. Through a personal insight of a man who’s lived around the world and found his home in Šiška, we get to peek behind the dirty house-fronts and discover a vibrant mix of captivating stories and individuals whose work and activities shape the unique spirit of this neighborhood. Synopsis: Senior year student Mila is two points short of being able to realize her parents’ dream and go to medical school. Only then, she really starts getting to know herself, her ambitions and her dreams. In a series of chance encounters she builds her self-confidence and chooses a different life for herself. Синопсис: Филмот нè води на патување помеѓу стиховите на Павчек, литературно или апстрактно пренесени преку еден имагинарен свет на два лика. Звукот на пијаното нè издигнува над облаците, бркаме цвеќиња и талкаме по шарени ридови, качувајќи се на летачки брод за да гледаме куќи што растат на стебла, за на крајот да стигнеме до метафоричниот опис на „принципот“ на Павчек: Обиди се повторно и повторно и повторно. Synopsis: The film takes us on a journey among Pavček’s verses literary or abstractly conveyed in an imaginary world of two characters. A piano takes us above the clouds, we chase flowers and roam colourful hills, board a flying ship to watch houses growing on stems, to ultimately come to a metaphoric depiction of Pavček’s “principle”: Try again and again and again. 8. АХА. ДОБРО. / AHA. OK.
Synopsis: Cat Prince decides to run away from home. Many obstacles come in his way and he (more or less) overcomes all of them. Synopsis: The story revolves around a stereotypical man who starts listening to strange noises coming from afar. Once he reaches the border of his world, the sounds increase and accelerate more and more. On the border instead of his document, he has to give away his clothes in order to get inside. Hence, give away his form, his self and enter an abstract world. He experiences something that will change his form permanently.